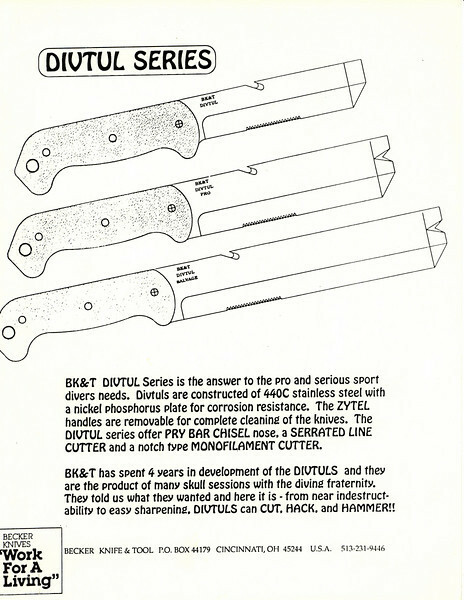 Discussion in 'Becker Knife & Tool' started by Bladite, Dec 4, 2010. When the forum migrated from old to new software, all the perma links got broken, including intra post links (like this post), and all references to various information posts, without text references, or a good guess, are lost forever. Can't search for what you don't know. Bummer. I'll try to repair the database, and the other information post, but there's only so much that can be recovered, and it will take a lot of time. Hey! Print this entire thread as PDF and put it on your smart phone or iDevice! Yeah! Cool! WoooOOOooo!!! 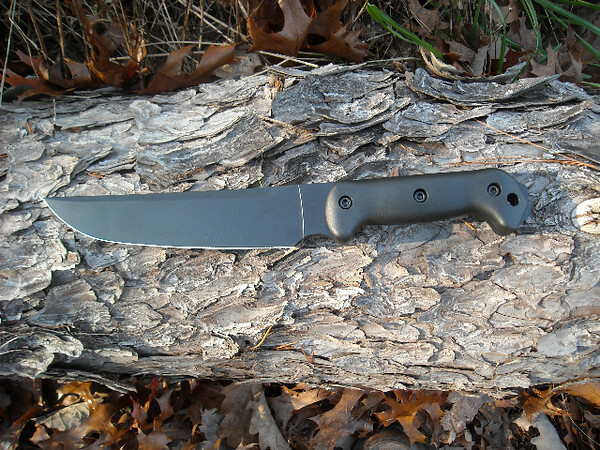 o The almost last word on the steel, and heat treats for Camillus, KaBar, and more. Almost. 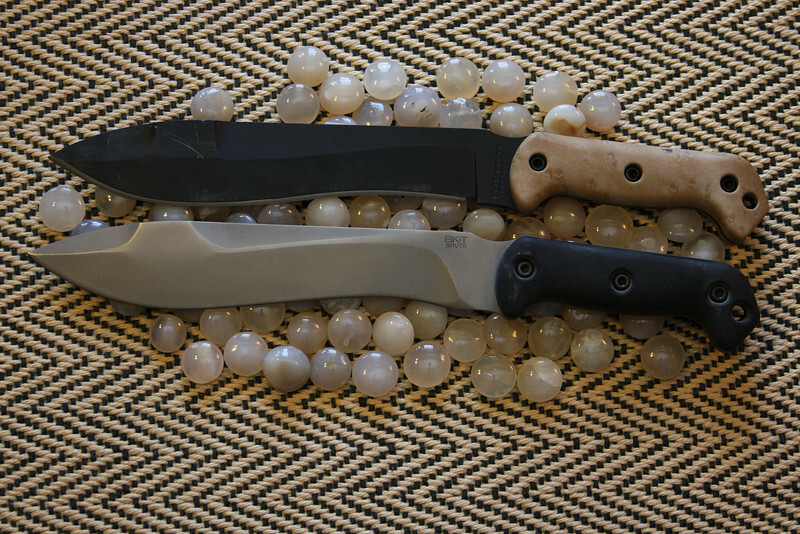 KaBar Limited 180 release Fall 2011 at $150, no more planned, ever !!! 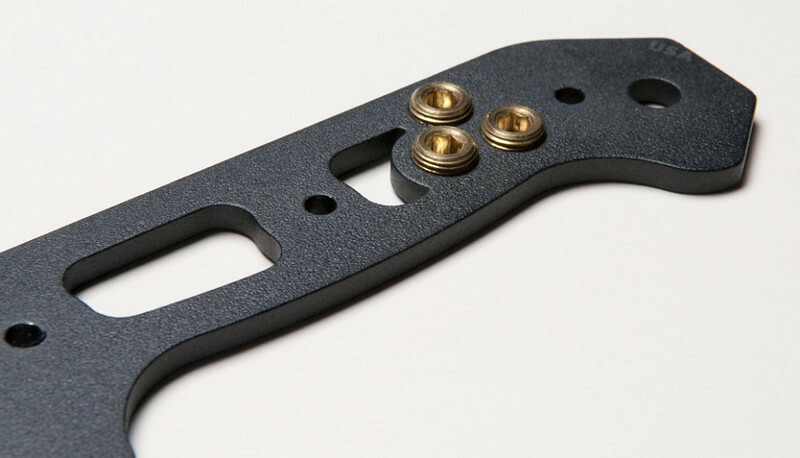 the Necker is the same quality performer it has always been...only better. o BK-14 - Becker BK14 EsKaBar NEW! Fall 2010 - Also in D2 steel now! 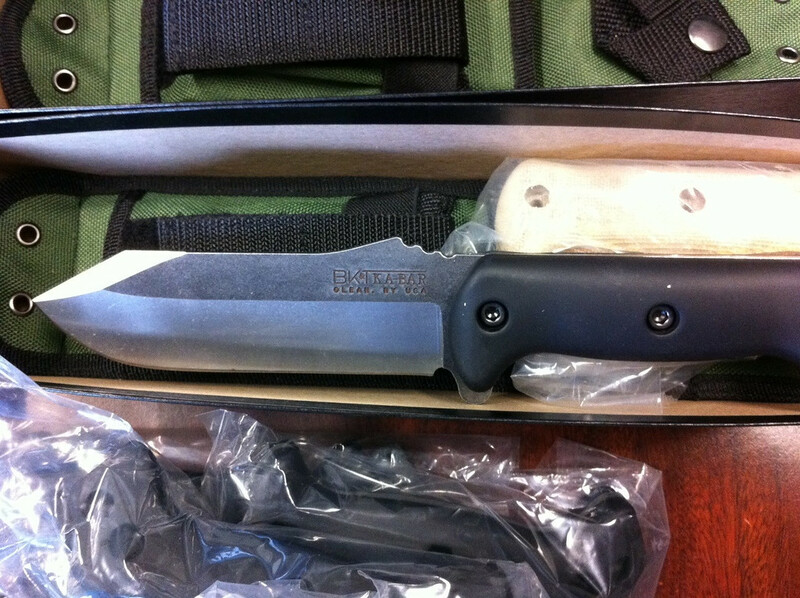 o BK-41 - The Tomahawk only 50 made! o BK-99 - What could it be? 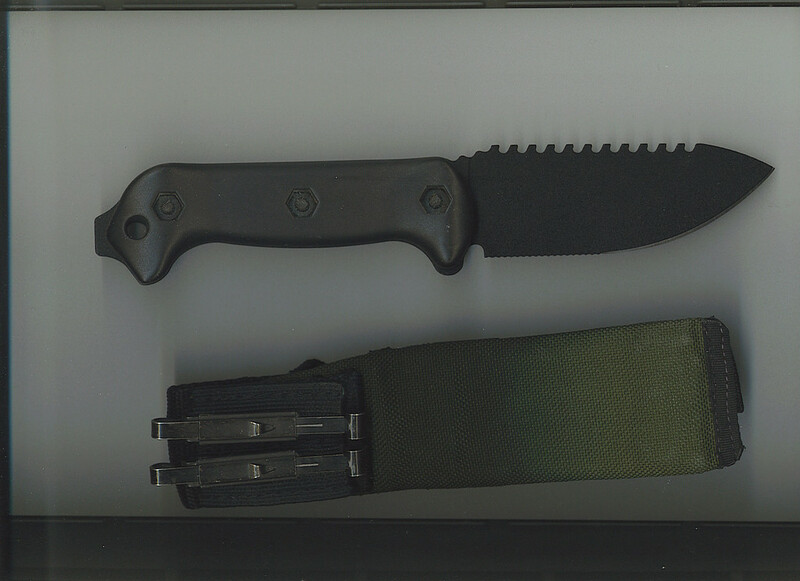 1) Cold Steel Carbon V was first produced in the Alcas Factory (Cutco and KA-BAR) Mid 1980s, Carbon V was originally 1095CV/0170-06/50100B. While at Ontario, Dan Maragni removed the small amount of nickel from the formula. 3) Cold Steel moved to Camillus approx. 1995. Carbon V stayed 0170-06 minus the nickel. How do I know all of this?...I have worked at all 3 factories. Basically the last Carbon V is still 0170-06. Nickel, in addition to the added toughness also decreases the austenite to martensite transformation temp. It is added to counter balanced the chrome which raises the transformation temp. C: 0.95-1.10; Mn:0.30-0.50; P:0.025max; S: 0.025max; Si:0.15-0.25; Cr:0.40-0.60; Ni:0.25; *Mo:0.06*; V:0.15-0.25. This is also the formula for KA-BAR's 1095CV. If one orders enough steel a steel company will make what ever one wants. That is the case with both Cold Steel Carbon V and Case CV variations on 0179-06. Slight variations can be thought of as entirely different steels or just a variation. It's all good steel but it still must be processed properly. Unless there was a radical change that I didn't know about, Camillus processed the Carbon V with a lead potoil quench using a traditional Austenizing/Quench/Temper process. Dan Maragni's strong point was fine tuning the temps, making sure the heat thermocouples were proper, heating medium was proper, quench oil had the proper additives. He was (is) very good at that. I like Dan alot and I miss our great conversations when Cold Steel was at Ontario. Carbon V definately came first. It was the brainchild of the Metal God, Dan Maragni, & was, in my opinion, what put Cold Steel on the map all those years ago. 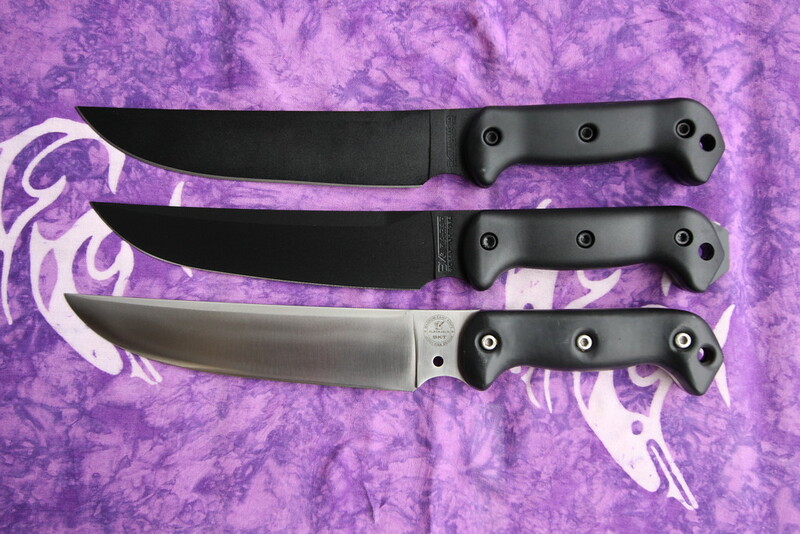 When Cold Steel came to Camillus to make their carbon steel knives, they did not want to pay for the vast amount of steel that had to be purchased in order to have a custom steel made to their specifications. 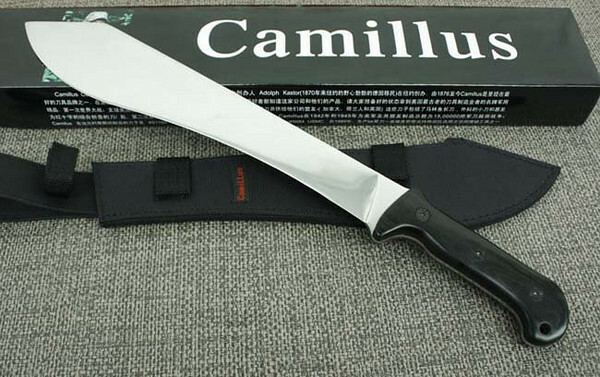 Consequently Cold Steel agreed that Camillus could also use the steel (& pay them a royalty, I believe) but could not call it Carbon V.
I came up with the name 0170-6C, based on an almost close (but NOT) steel produced by Sharron Steel called 0170-6. All this is historical trivia. The real issue for those who understand is Heat Treatment! 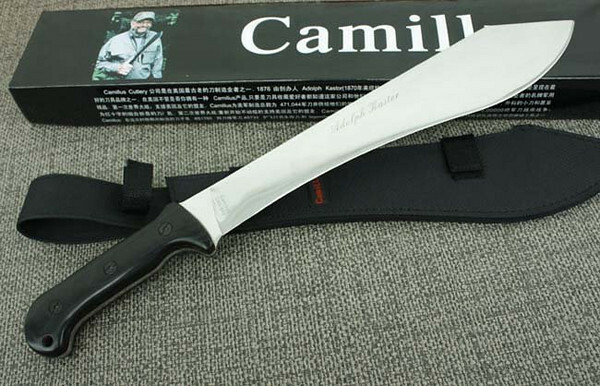 The reason that the Camillus Beckers perform so well is that Dan Maragni set up a system of heat treatment at Camillus for the Cold Steel knives, & oversaw almost every batch of knives produced. 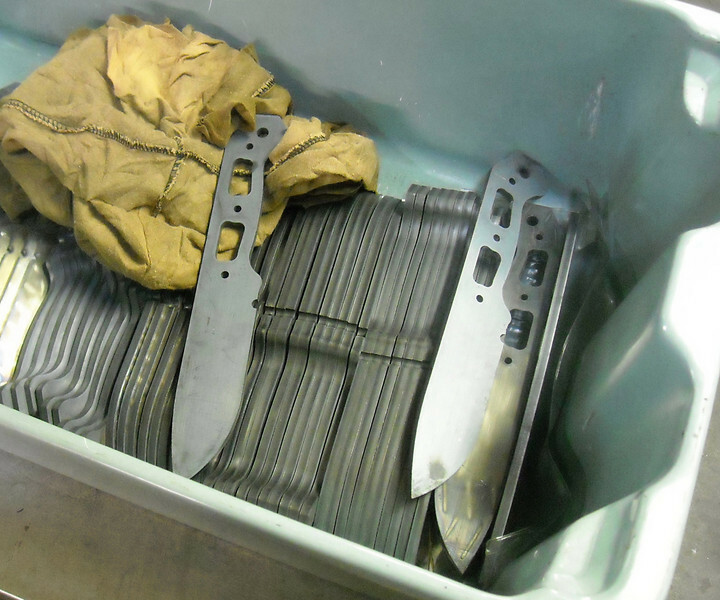 What we learnt about heat treating Cold Steel seeped over to the Becker knives. 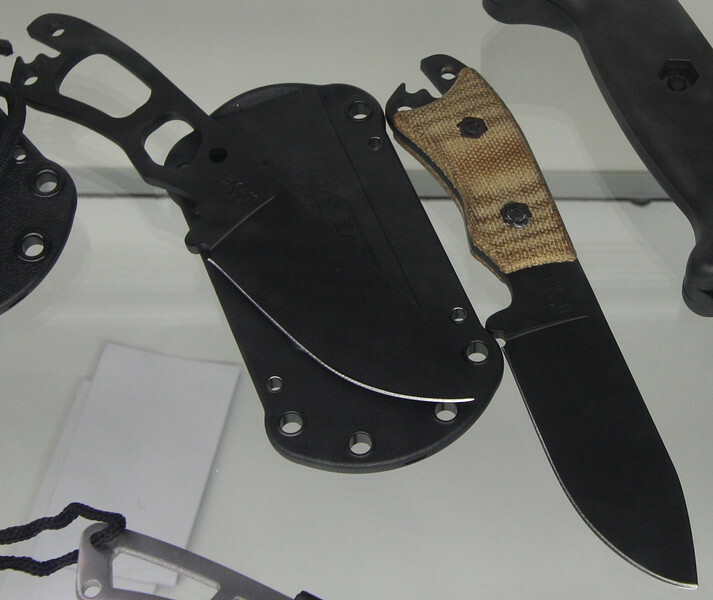 Very popular question lately, so, a breakout section just for handle materials..
and now, the Blade Show 2009 sneak peak into new possibilities for micarta. As Toooj says "the CNC is programmed..."
The above micarta is designed to fit ANY generation/variant of full-size Becker knife with the Grivory handles to the best of our knowledge. Any. No really, from the earliest MachAx to the latest KaBar, and anything in between. 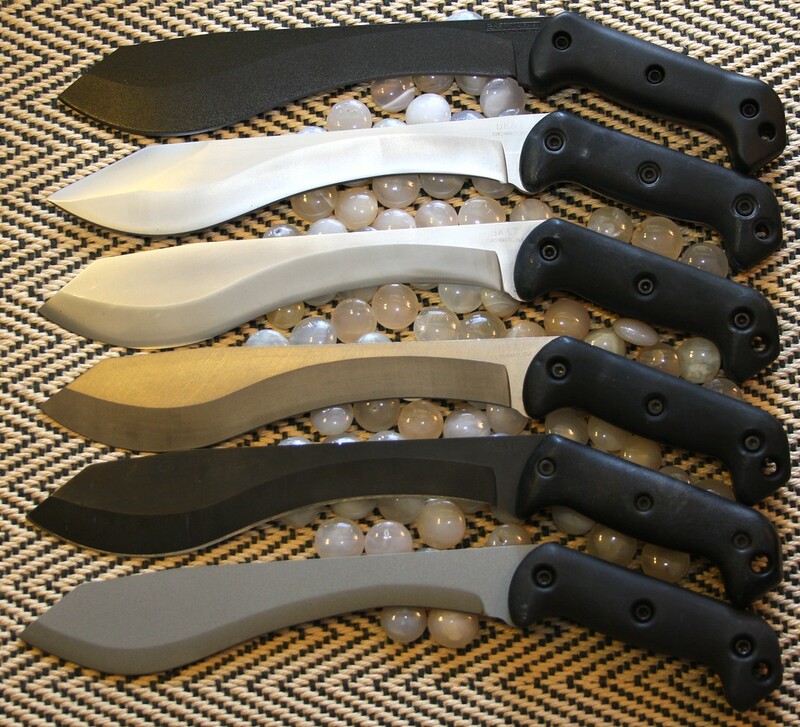 o Full-size means production models BK0-1, BK-02, BK-03, BK-04, BK-05, BK-06, BK-07, BK-09, BK-10, and the Reinhardt Khukri. 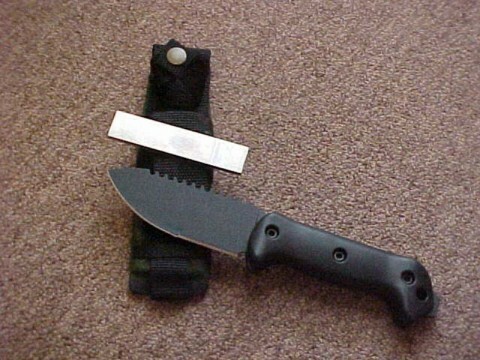 The handles will not fit the BK11 CSM SanMai out of the box, but require some modification, some simple trimming with a utility knife. 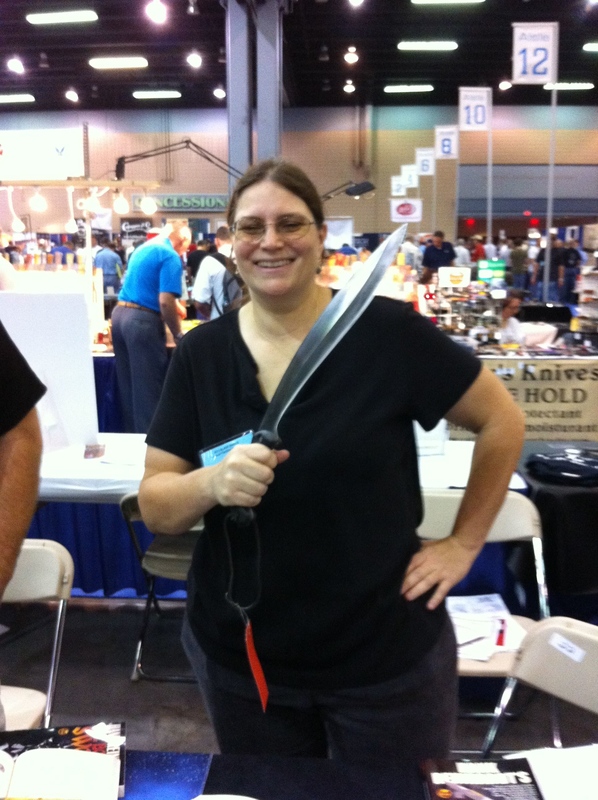 oo Origins: knife made in USA, sheath made in ? 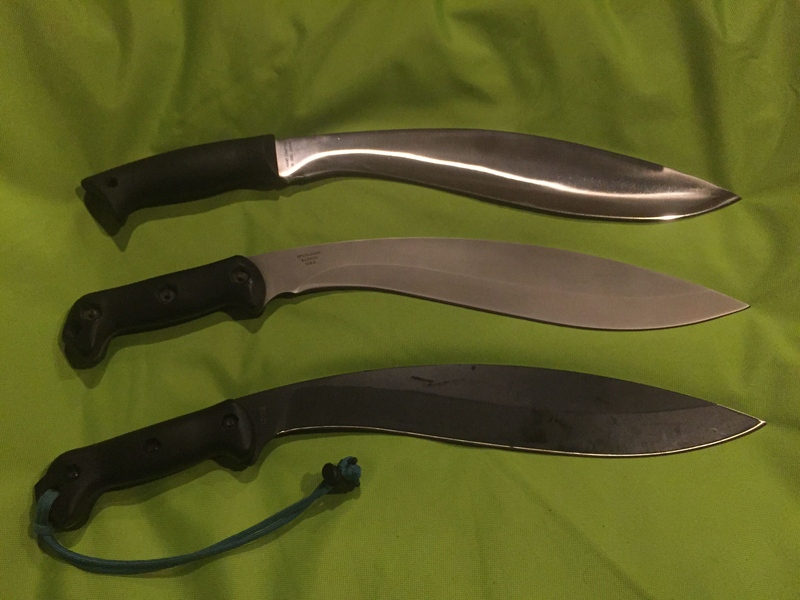 oooo Second from left is a 2nd gen powder coat "sterile" model; they are unmarked due to the powder coat being "tricky"
There were also some leather sheaths, and some alternate kydex sheaths seen for these. 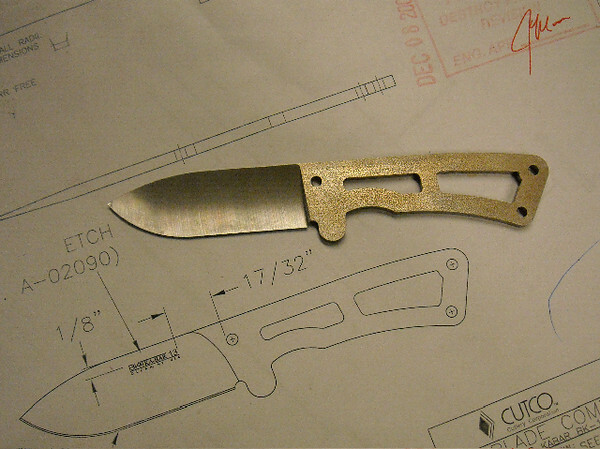 Major knife variant on the last runs included some with a sterile epoxy coating. 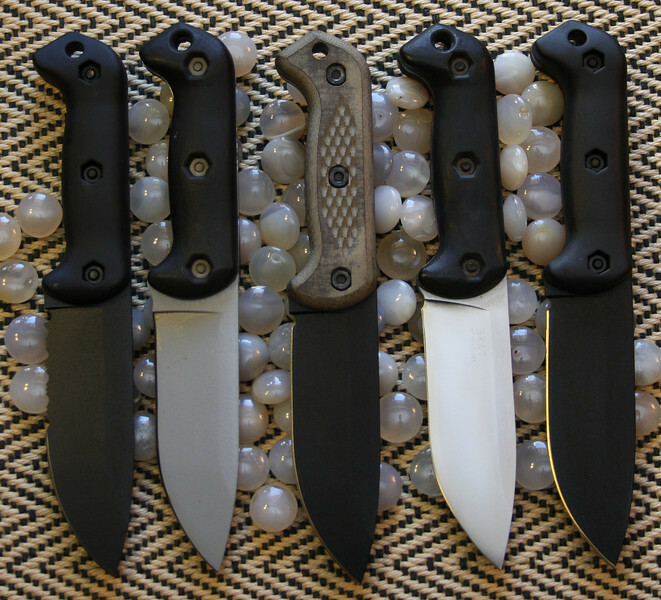 oooo Third to the left in above picture, a standard BK-02 wearing the original Camillus micarta! 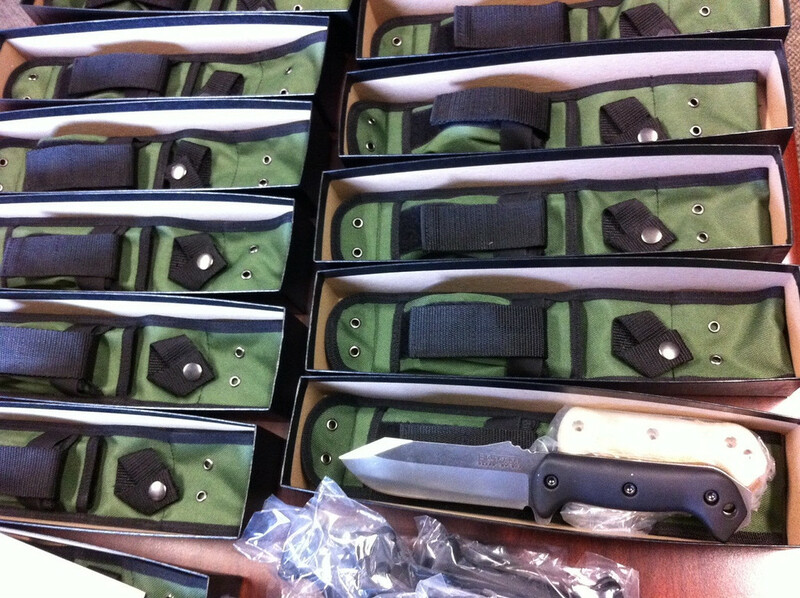 Status: Currently in production, second generation with new sheath, 3rd Gen KaBar? Fast forward: John is retired and owns TDI (Tactical Defense Institute). 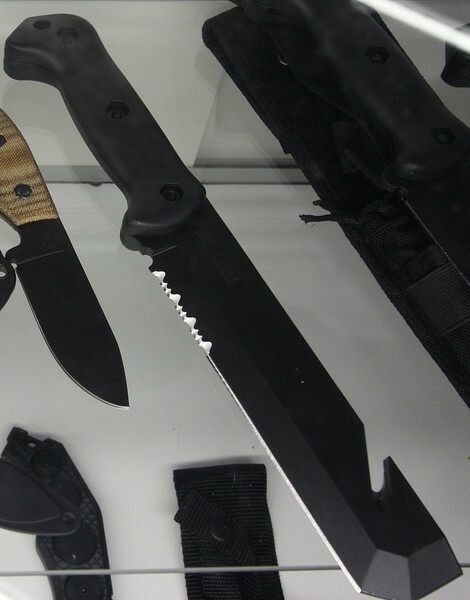 Both TDI and Becker Knife and Tool are under the KA-BAR family roof. Small world. 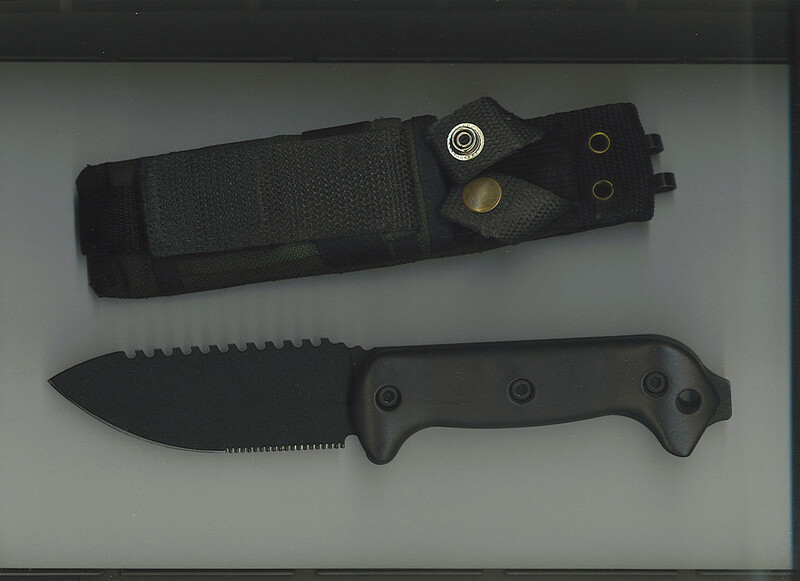 The BK-3 was designed as a lightweight, personal carry, entry tool for SWAT, Fire and Military use. It takes a tremendous amount of abuse. See Moose's video on the Marysville's FD dismanteling a Dodge Omni with a BK-3. I'm biased but I think you will do fine with the BK-3. behold: a BK3 wrecking a car. with firefighters. techniques. nice stuff. 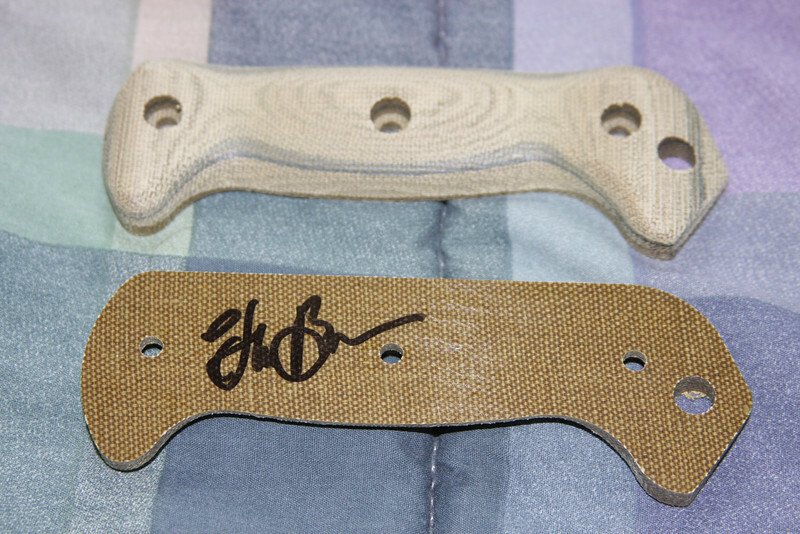 We have already been gifted with many many many example of the prototypes in terms of pictures and such. 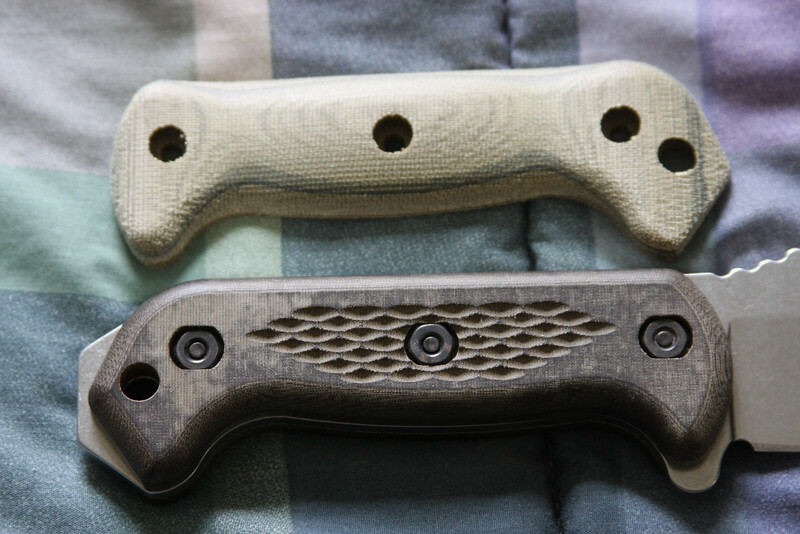 Bottom knife, in the top picture, powder coated last generation MachAx variant, "sterile" model; they are unmarked due to the powder coat being "tricky"
"I want a tool I can use for everything - chopping and whittling as well as a froe, hammer or pry bar," explains Ethan Becker, president of Becker Knife and Tool Corporation which makes the Machax Survival Tool and a similar knife called the Warrior. "It is not the best hammer, but the flat can be used for one if needed. It is not the best pry bar, but it works. In its primary uses, chopping and hacking, please note that when it hits it hits dead. There is no 'machete wrist' from vibration! 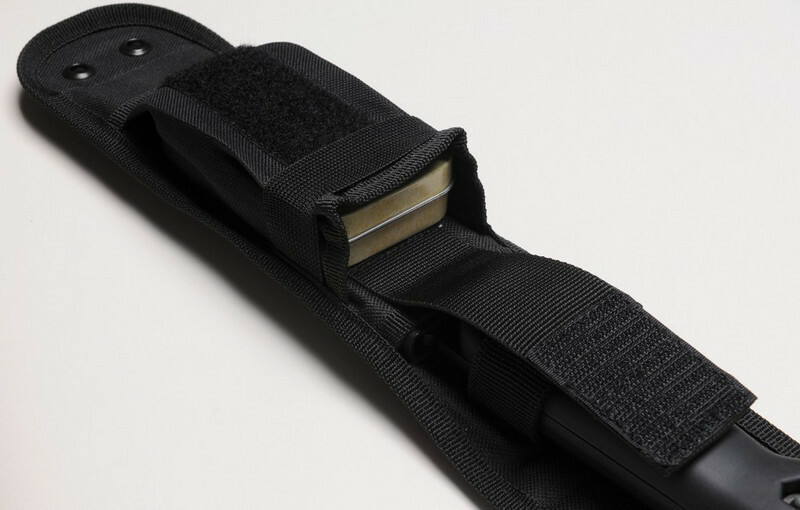 You will be able to use the Machax for quite a while before your wrist hurts." One of our guys took a Machax out in the woods and in four hours with the Machax as his only tool he built and thatched a roomy lean-to shelter for two people, a fire frame and reflector, two pieces of camp furniture and stocked the camp with firewood - and no machete wrist. "Note also the differential grind on Machax which has more of a slicing angle on the inside of the curve to more of a chopping and splitting angle closer to the tip. We are, I think, the only people who sharpen down close to the grip on a tool like this so that it is easy to use for close-up work." 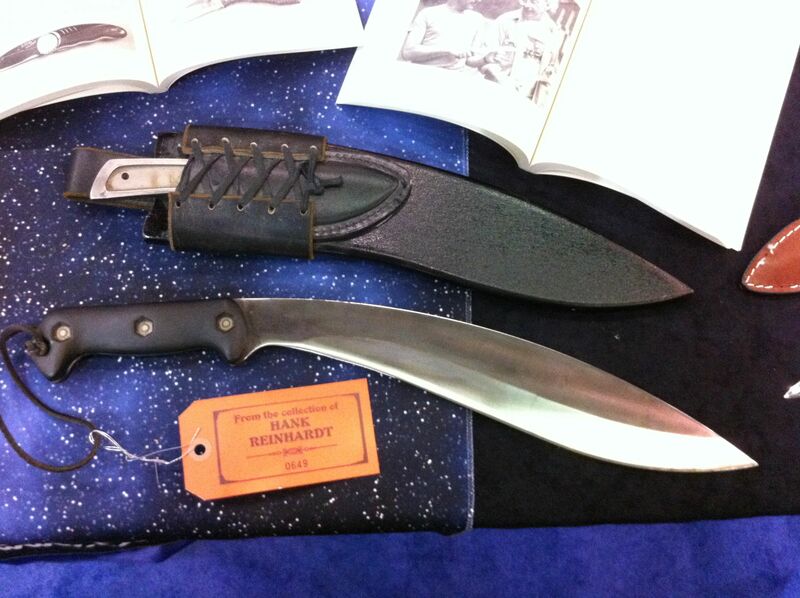 The heavy 1/4 inch 4140 chrome-moly blade of the Machax borrows the unmatched weight distribution of the Gurkha Kukri knife (which itself is a variation of an ancient design), combines it with fine American steel, full tang construction and Zytel scales large enough for a good working grip. Weight is 20 ounces. The 4140 chrome-moly steel is moderately heat treated, giving it a very tough nature. 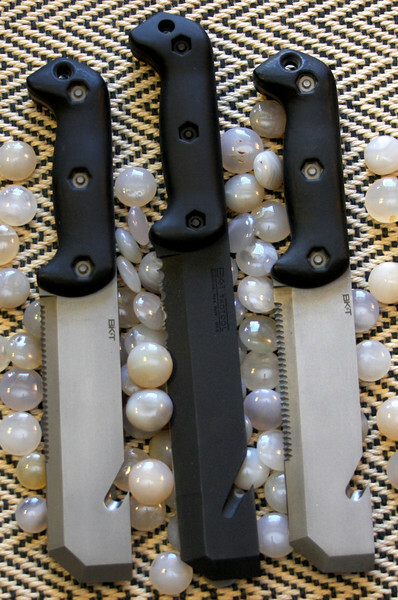 It can be quickly sharpened using a file, stone or rock if need be. 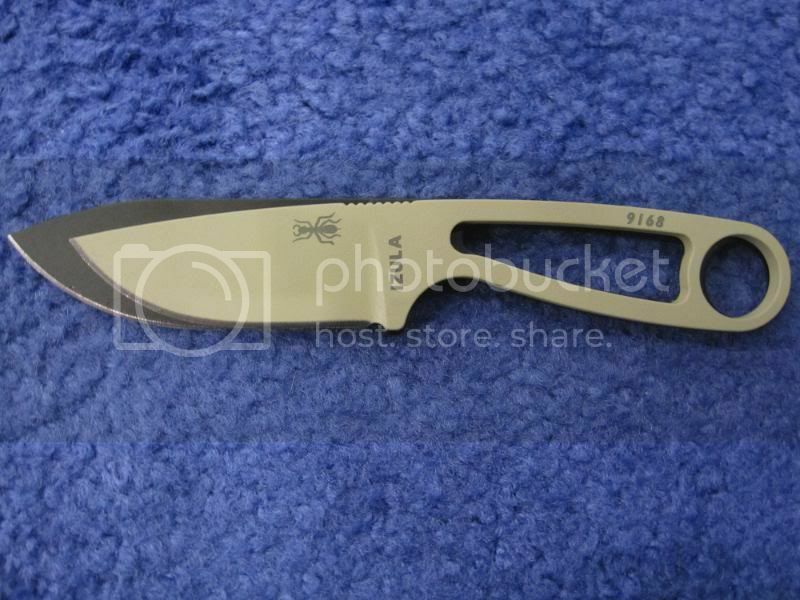 It will rust, but it has a rust resistant phosphate finish except for the edge. A little oil will help prevent corrosion. 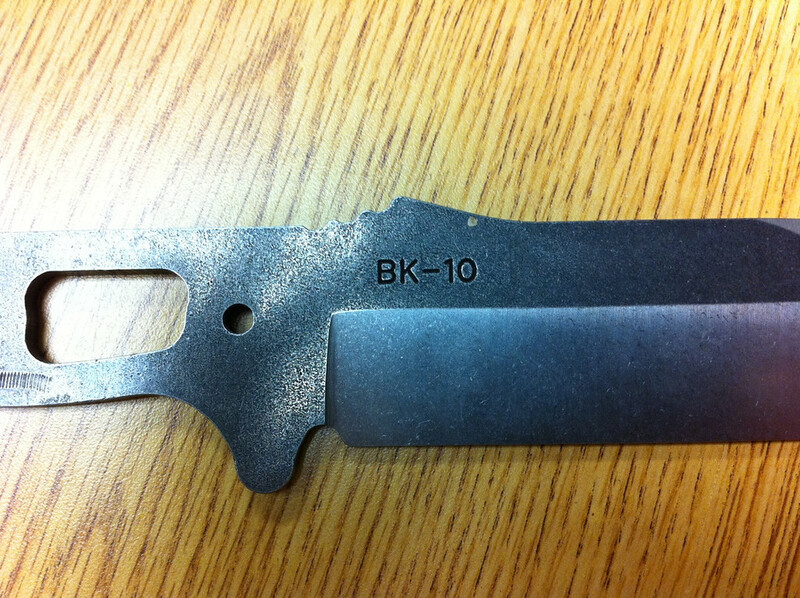 If the scales or blade are ever broken, BK&T will replace them without question - provided you didn't do it on purpose. We tried out the Machax in a bamboo thicket and on several types of dead and live trees and heavy brush and found it to be excellent. 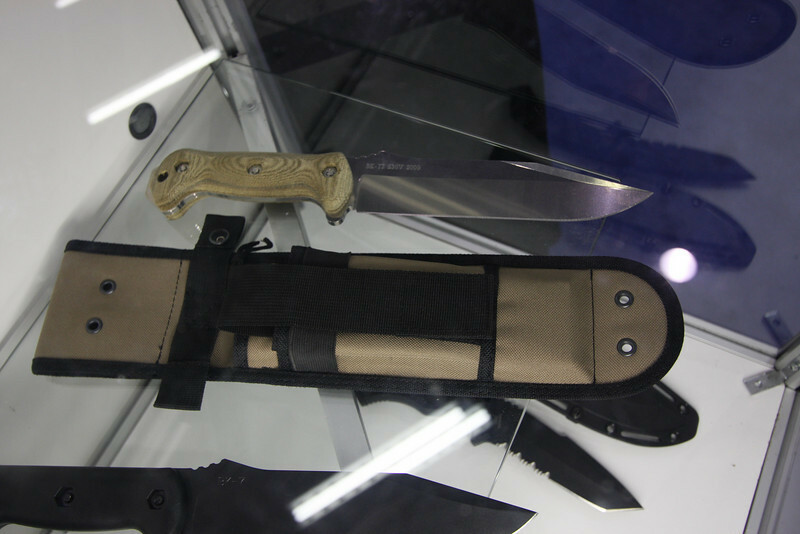 The Machax can be purchased with fine black leather or nylon sheath for $129 (either sheath alone is $25) from Becker Knife & Tool Corp., Dept. ASG, P.O. Box 44179, Cincinnati, OH 45244; (513) 231-9446. Ohio residents add 5-1/2 percent sales tax. Also available at better cutlery dealers. ever wonder what the difference are from old and new? Funny note: the CinCinn bolt hardware is parkerized apparently, and the outer bolts (#1 and #3) are ground down and thus shorter than #2! don't mix them up! As well, they appear to have been coated after grinding! Handle material is Estaloc, and isn't 1:1 with the new handles. + KaBar has the pommel of course; and two cut outs in the handle naturally; there's small swedge at the front angle, making it more like a Warrior model of old, but that takes away forward weight as well. 4.25 ounces DIFFERENT! the CinCinn is heavier and more forward weighted esp. This thread pointer has a beautiful mod done - it's completely sweet! Check out that price. That's the street price then. Street price now is typically less! Nice. 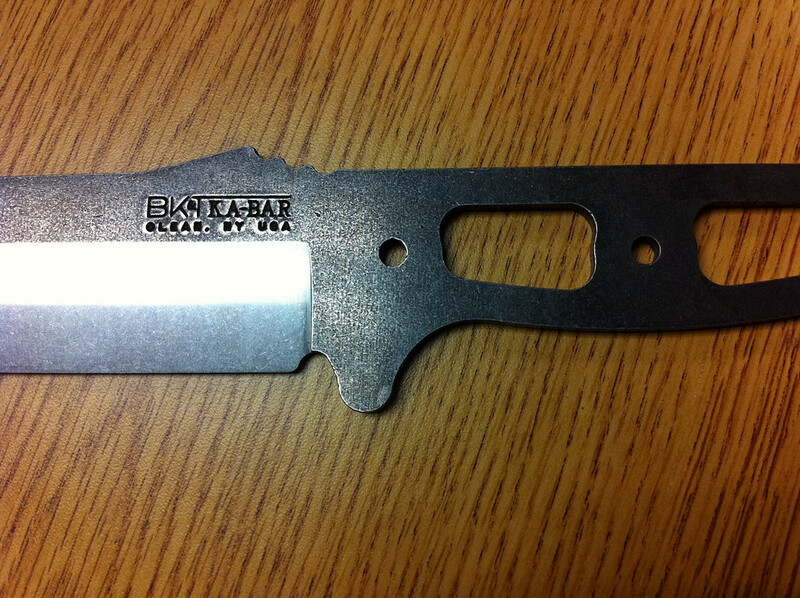 Status: 2010-10-11: Currently in production by KaBar, available for purchase. Go get some. just in case you ever wondered what the 3 major versions had for differences? 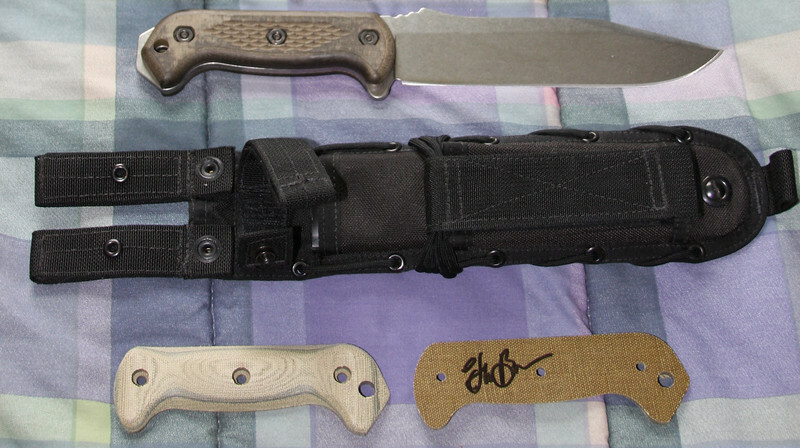 Any plans for a new BK-06 Patrol Machete? 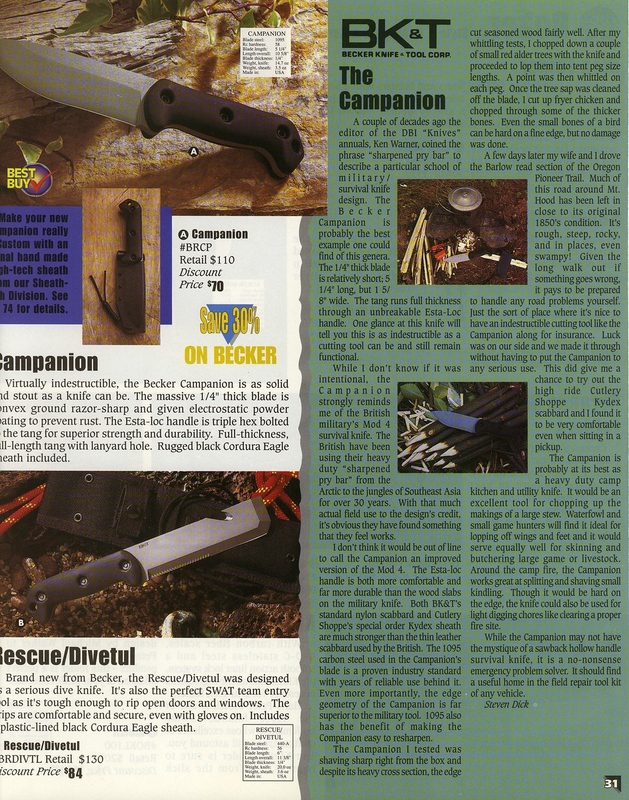 o Fake box has a picture of Ethan Becker a Patrol Machete ... Bad sign. Fake. o Fake box has chinese characters on it. VERY bad sign. Very fake. o They're unauthorized counterfeit copies - fakes - BUYER BEWARE!!! KaBar got their hands on some Camillus blanks from the auction, and did a bunch of cleanup, heat treat, new handles, and they are etched "KaBar 2009". These are the last ever S30V BK7 variants. About 275? were finished, and when they are gone, they are gone, forever... I believe they also came with BK-13 Remoras as well. Heres one probaly NO ONE knows about! Or for Mr. Ethan remember! Status: Never in Production, approximately five made. 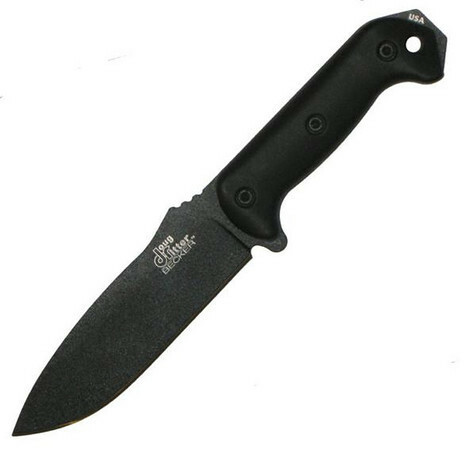 BK12 / RSK Mk2 by Camillus. Prototypes only, not sure how many total with minor variations, certianly fewer than a dozen. 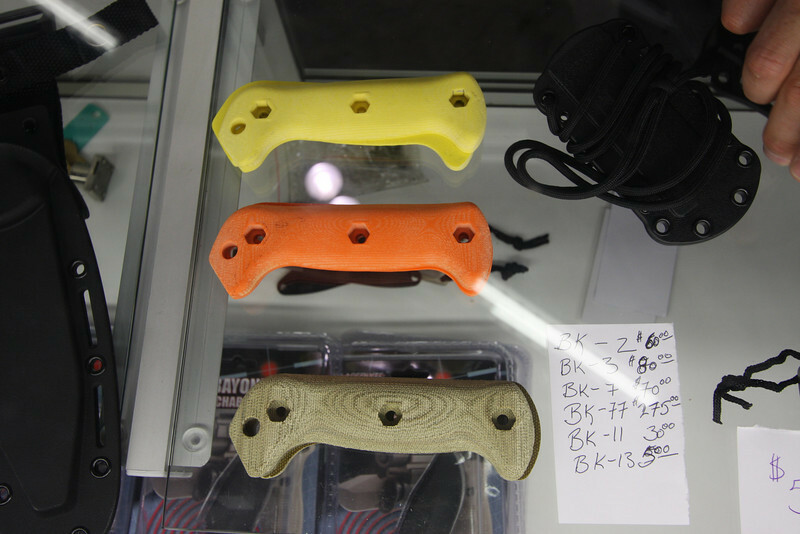 Was just getting ready to order blade stamps to enter production when Camillus went under. 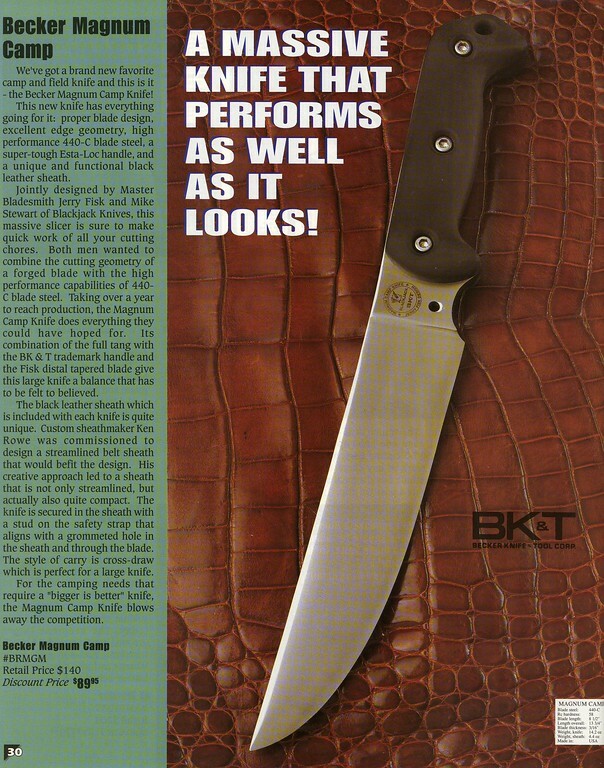 The "BRAT" knife has an official name now: Becker BK14 EsKaBar reflecting the heritage of all involved. by onado2000, Rat Pack# 25... Congratulations to you! Basicsily Toooj says '''You are correct. 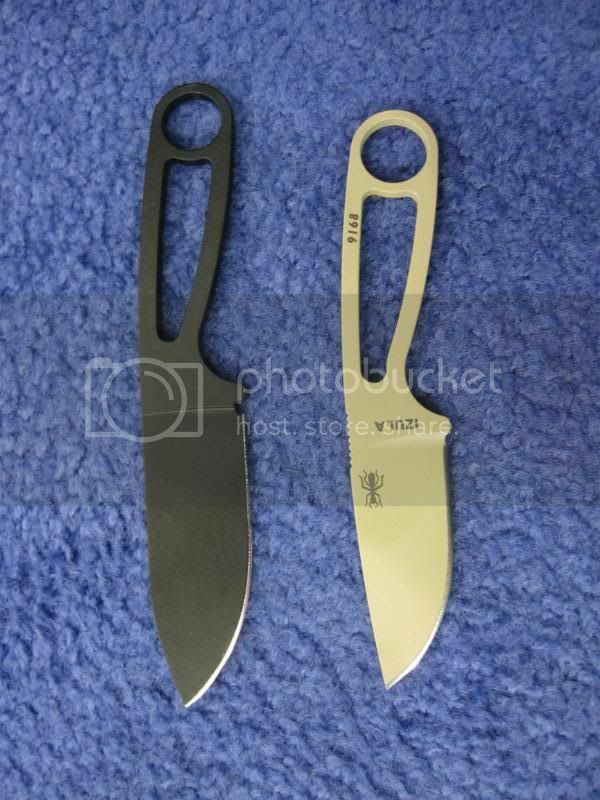 The Rowen Izula handles will not fit on the BK14 handle. 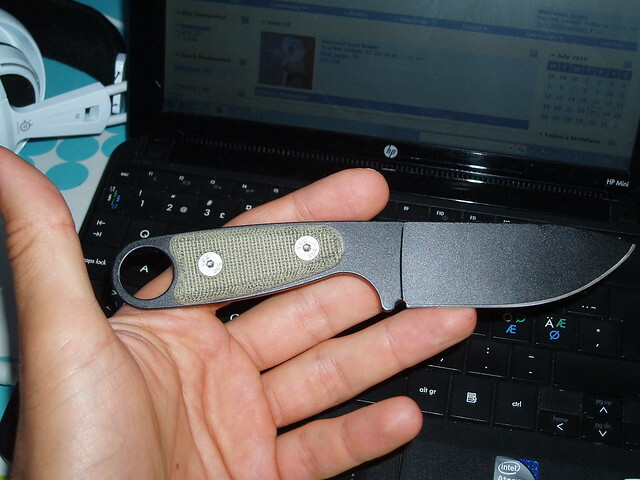 The esteemed Mr. Becker wanted a bit more width on the handle struts and the opening is smaller than the Izula. 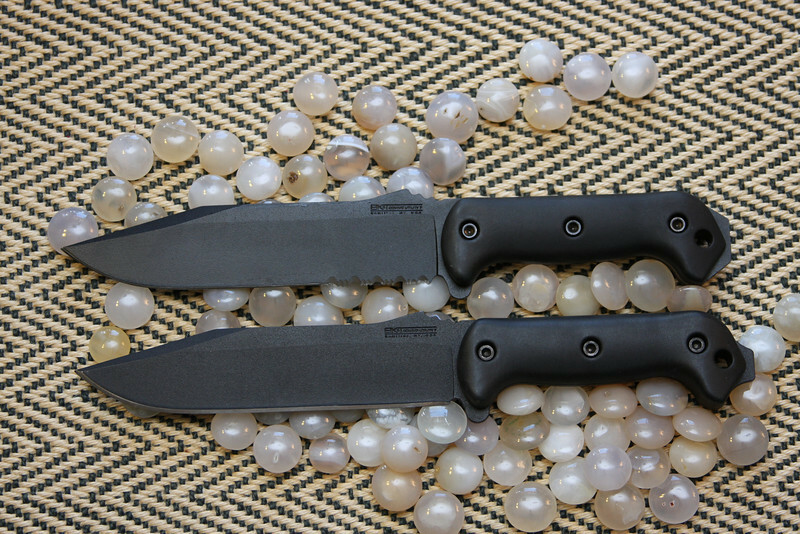 When we were developing the BK14, the Izula Micarta handles were not out yet.